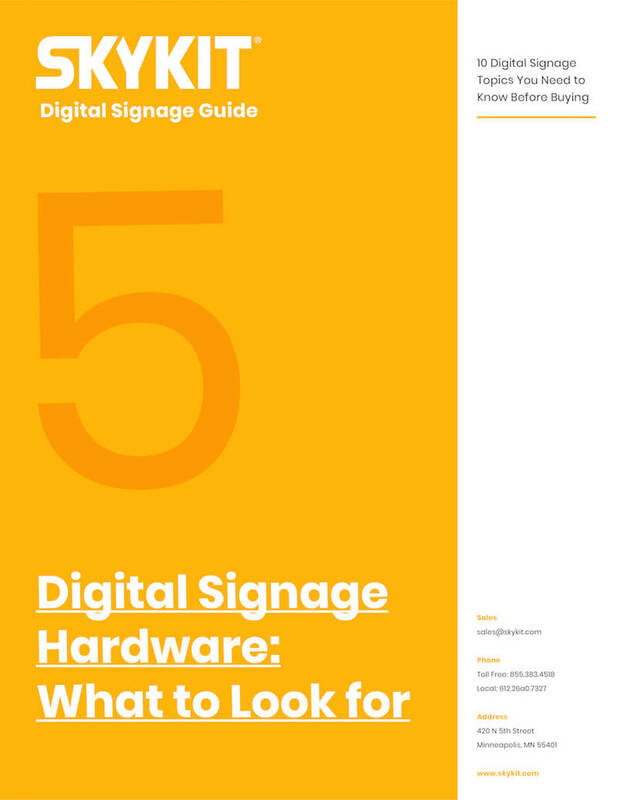 It’s hard to find free, educational, and comprehensive content that helps the enterprise and SMB buyer make informed decisions about the digital signage market. 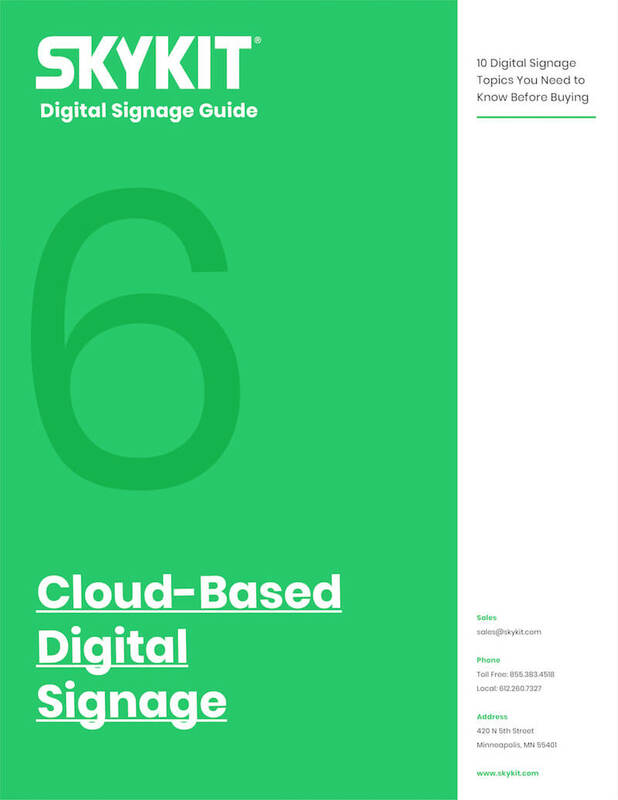 We wanted to make it easier for you to refine your strategy, narrow your list of vendors, and plan each stage of your approach to digital signage. 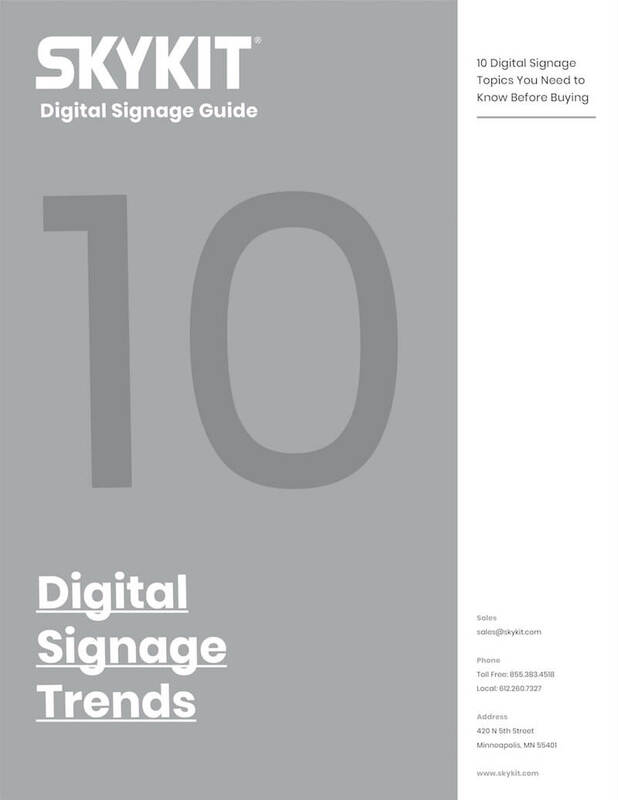 We included worksheets after every chapter that boil down the high-level information and turn it into action-oriented steps so you can take your digital signage strategy to the next level. Download those directly on the chapter pages! This guide is not designed for you to read from start to finish. 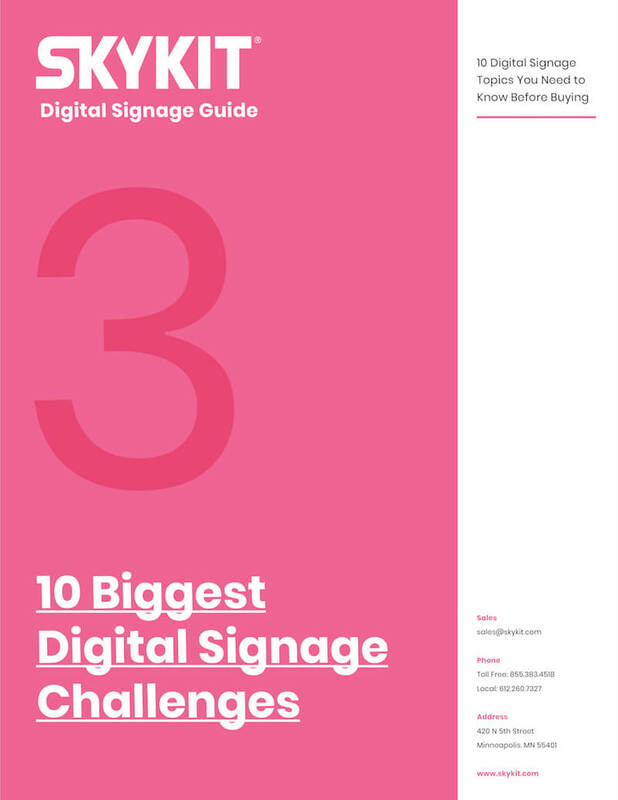 Scroll down and click on a chapter that’s relevant to you and your current stage in your digital signage journey or download the full PDF below. Either way, you can read to your heart’s content for free about any digital signage topic at your own pace. Beginners start here. 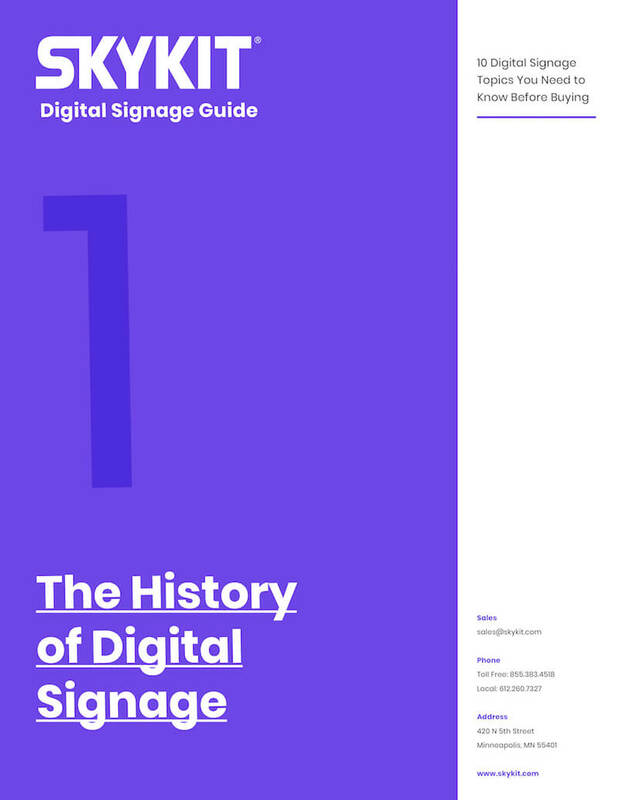 Before you can create an innovative and engaging digital signage campaign, it’s best to understand where signage has come from when it started in the 90’s. We’ll cover the evolution of the technology and how market adoption has influenced its path over the years. You can see the historical trends so you can hone your company’s strategy before you even start. Learn from the mistakes and the wins of those you came before you. 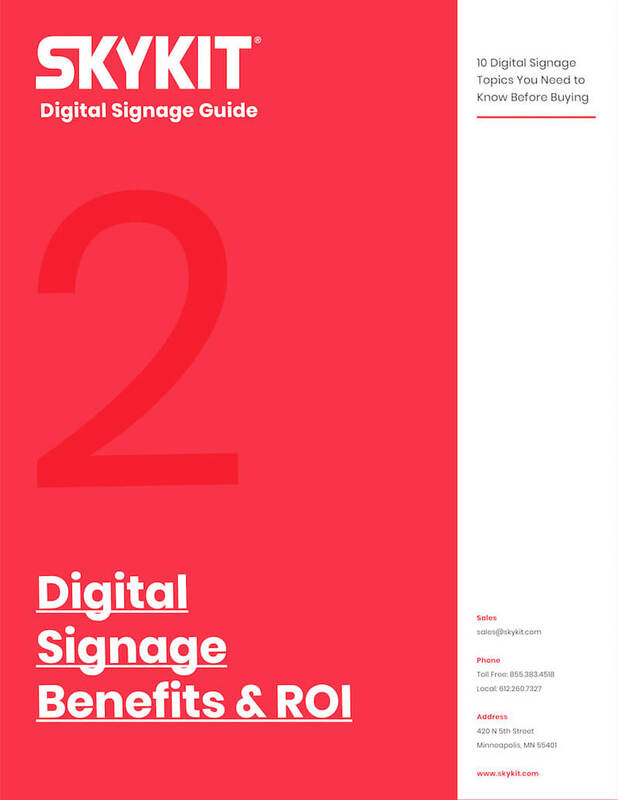 It can be challenging to calculate the actual return on investment for your signage campaigns when other variables come into play like: other campaigns you’re running, seasonal traffic, weather, and many other factors. Even if you’re not using your displays to sell products, you can still track the effectiveness of your campaign with the hard numbers as well as soft numbers. Make sure you know how to measure success before you begin! There are common challenges that go beyond industries and vertical markets. Make sure you know what these challenges are and prepare for them. 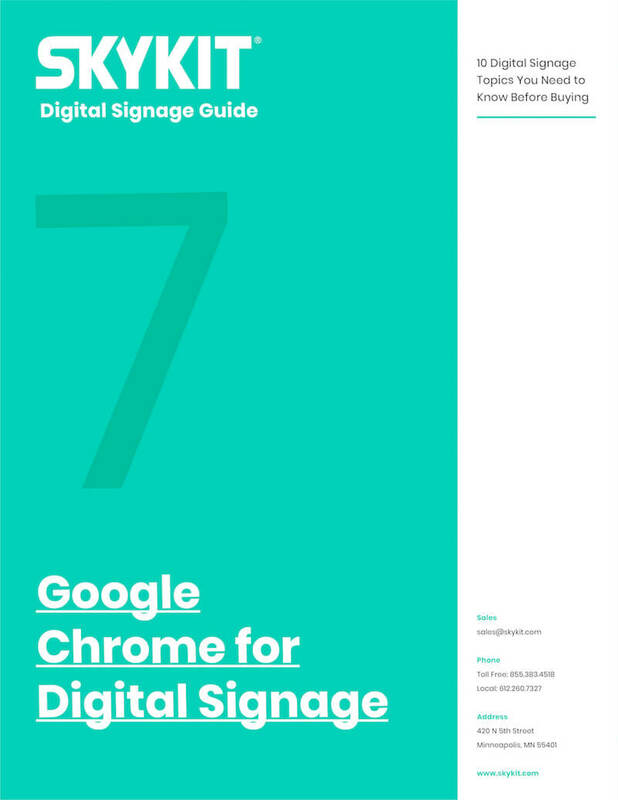 Google is relatively new in the digital signage space, but with their hardware background with Chromeboxes, Chromebases, and Chromebits, it was a seamless transition. Chrome media players are serious contenders in the marketplace and offer the same (if not better) results with a lower price tag. Chrome digital signage is a focused on how simple it is to update your devices and centrally control a fleet. We put together a list of some Chrome devices to dig into the pros and cons so you could decide for yourself if Chrome is the direction you’d like to go. It doesn’t matter if you have the best software and hardware if the content you’re displaying isn’t getting any results. 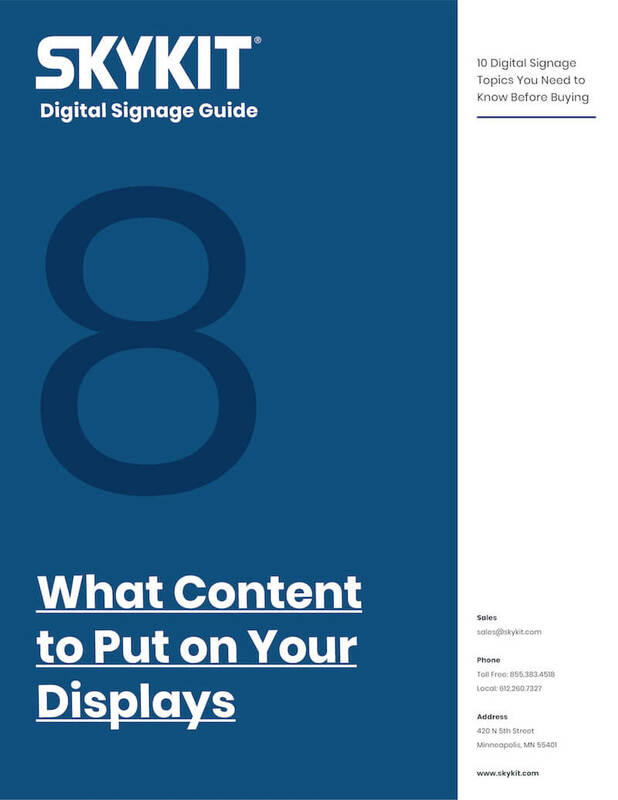 When creating content for digital signage, many of the best practices are unique to digital signage (as opposed to other writing). So even if you’re a confident writer, there are other variables at play like: dwell time, distance from a screen, and calls-to-action. 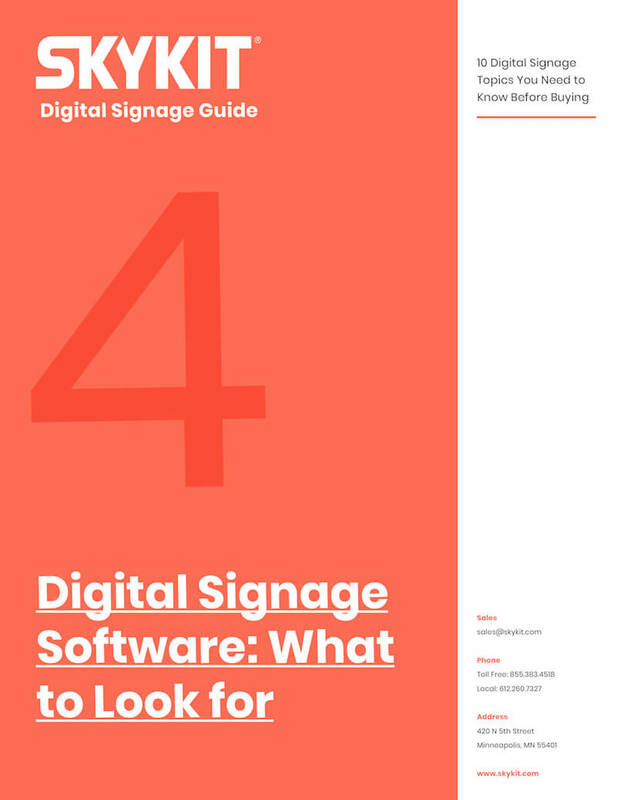 We have some best practices and a great list of free tools you can use to create your own digital signage content that looks beautiful (without needing a graphic designer). You need to put serious thought into your strategy for rolling digital signage out in order to maximize its usefulness and accessibility to your audience. Case in point: You need to choose the right digital display to install based on the placement and environment in your store. Of course, the problems can start long before your digital signage is even fully installed. Without a fully planned rollout strategy, costly trial and error can make your expenses quickly balloon above your budget. In this chapter, we’ll walk you through the digital signage rollout planning process and give you an idea of what to expect along the way.